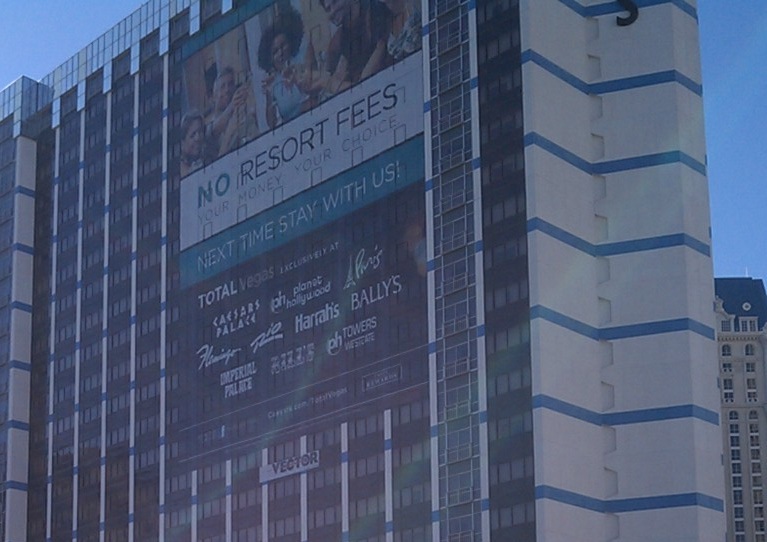 Bally's has a new building wrap promoting "No Resort Fees" at Caesar's Entertainment properties. The wrap went up in conjunction with the The Showgirls are Angry marketing campaign. 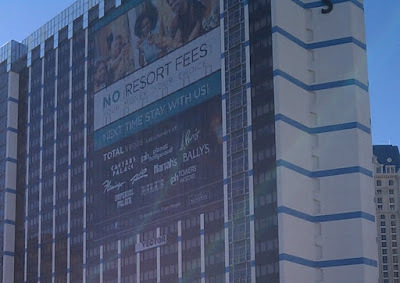 UPDATE: Caesars Entertainment is now charging resort fees on Las Vegas rooms booked after March 1, 2013.